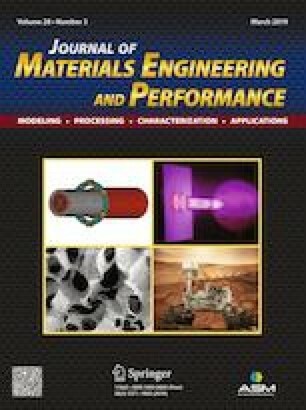 The objective of the present paper is to study the influence of the substrate bias voltage on the microstructure, composition, deposition rate, tribological and corrosion properties of CrN coatings obtained by DC magnetron sputtering on 90CrMoV8 steel and Si (100) substrates. The substrate bias voltage varied from 0 to − 700 V. The deposited films were characterized by SEM, XRD and potentiodynamic polarization. The wear behavior and coefficient of friction were determined and investigated after rotative tribometer tests. The results indicated that the substrate bias voltage considerably affected the intrinsic properties of the CrN films. Indeed, it significantly influenced the grain size and the root-mean-squared roughness which varied from 20 to 29 nm, and from 9 to 19 nm, respectively, when polarization changed from 0 to − 700 V. All the CrN coatings have a dense columnar structure and are well crystallized according to the XRD analyses. Nevertheless, it has been shown that the peaks intensity decreased by increasing the substrate bias voltage. By applying a substrate bias voltage, it was obvious that the friction behavior was enhanced, and the wear volume was decreased. Finally, the CrN coating obtained under a substrate bias voltage of − 500 V presented the best corrosion resistance and wear resistance probably due to its dense microstructure. The authors would like to thank the Regional Council of Burgundy for its financial support, Dr. Philippe JACQUET for the XRD analyses and Mr. Denis LAGADRILLERE for the SEM observations and EDS microanalyses.